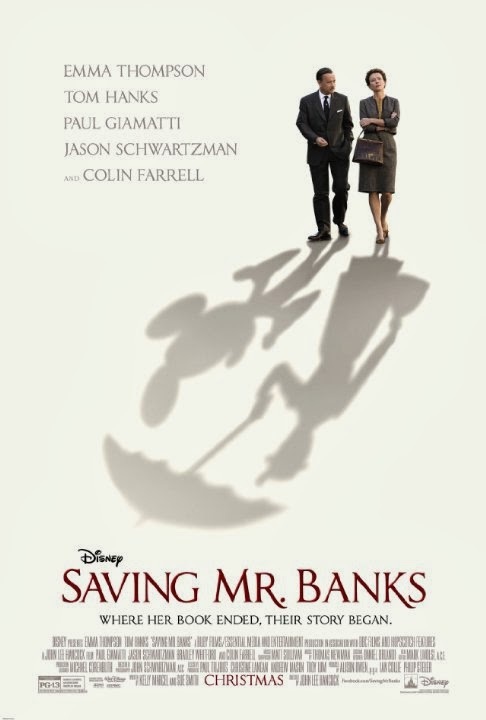 Saving Mr. Banks, a movie about a movie, is the latest "family friendly" Disney film about when Mr. Walt Disney himself tried to get the Mary Poppins books unto the big screen. The author of the Mary Poppins novels, P.L. Travers (played by Emma Thompson), is a grumpy woman in her 60's who is worried that Disney will change the character she created and loves, and doesn't want to let go of the rights without a fight! It's fun to re-hear the songs from the original Mary Poppins movies, and to remember a film you might not have seen since you were young - but this movie is really about much more than the flying nanny. It's a story about a woman who won't let go of a hurt she felt half a century ago. It's about fathers and daughters. And it's about the place of whimsy and truth in our everyday lives. It's perfectly acceptable (maybe even desirable) for a parent to love their children more than their spouse. I believe this is a message we are finding more and more throughout our culture. I just recently read an article in Maclean's magazine about co-sleeping and it stated that many women cling to their relationships with their children because the mother-child bond should last for life, as opposed to the husband-wife relationship which could break-down at any time. 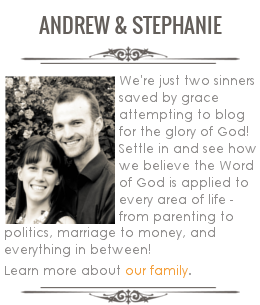 This is certainly not what we see in God's plan for marriage. He has told us "What God has joined together, let not man separate"(Mark 10:9). Marriage is designed to be a picture of the amazing, eternal relationship Christ has with his Church. Through it we have an opportunity to show just a little of the unconditional love God demonstrates us, and a husband is called to a regular life of self-sacrifice for his wife. 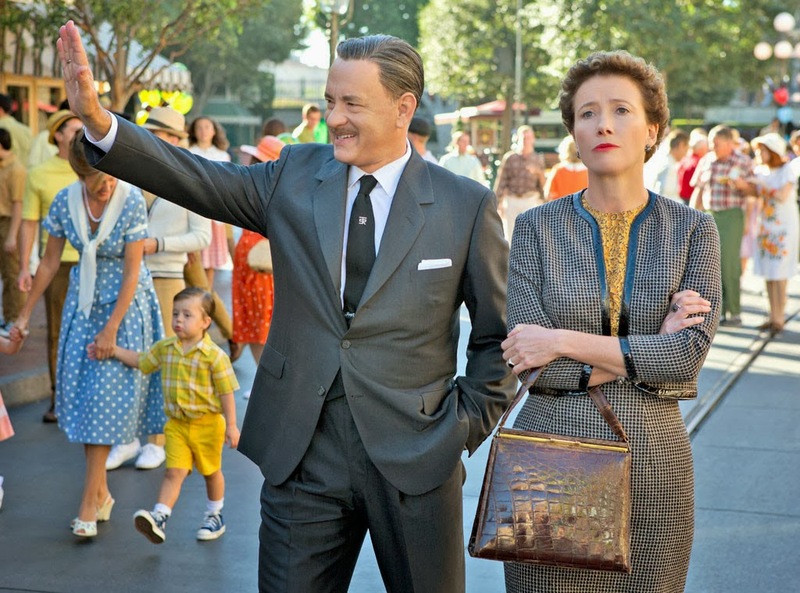 This is not what we see in Saving Mr. Banks. It broke my heart to see how this husband treated his wife - how he obviously put his relationship with his children before his relationship with her. She knew it, and in the most disturbing scene of the movie, it almost leads her to kill herself. Reality should be escaped, and only when we pretend the world is an illusion can we be happy. This is a sad message at best, but ultimately I believe it is a dangerous one. God created this world perfect, but because of sin we now live in a greatly flawed version of his original creation. So yes, there are harsh realities we will face - dramatic, life-changing ones, alongside the everyday disappointments of life. However, that is our burden to bear just as much as the next persons, and how much help can we be to others if we refuse to acknowledge the hardships that we, and they, are facing? Although in the movie we see this most through the character of the father, it also comes through in a small way by the end of the movie. P.L. Travers tells us that Mary Poppins wasn't about hiding hardships, instead she loved truth - and helped the children understand and deal with things that were hard. 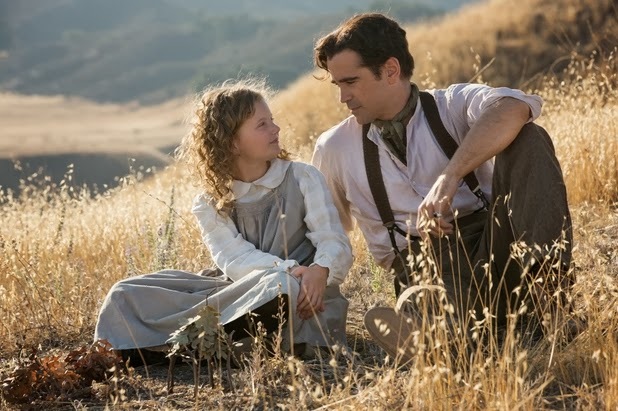 But I'm not sure if the movie overturns this idea by the end, celebrating the fact that they would paint a more ideal picture of her father (and of Mary Poppins) than the one she actually knew to be true. We could view this as thinking the best of others - which certainly is a good thing to do - but I fear the movie errs on the side of deluding ourselves about the ways others have hurt us.